Leave Buffalo on Monday around 3 or 4. Generally you’d grab a load on the way so we don’t run empty. You’d drop the load then continue on to the pier in Boston. Load up, and come home. We have two refrigerated trailers and tractors. One a 2013 and the other a 2016 Volvo—both with sleepers. We pay $.52/mile and estimate that you should make about $60k per year. 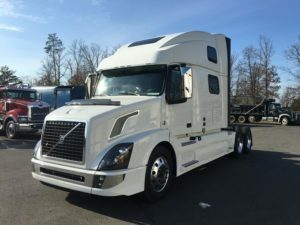 For this OTR driving job a CDL-A is required, along with at least enough experience to demonstrate that you won’t wreck our truck. This is a full-time position that will last for as long as you want it to.